Here’s my sermon from this past Sunday. It had been so long since I’d last preached. It was great to get back up there again. You can listen to the audio here. This may be one of the most important sermons I’ve delivered in some time. 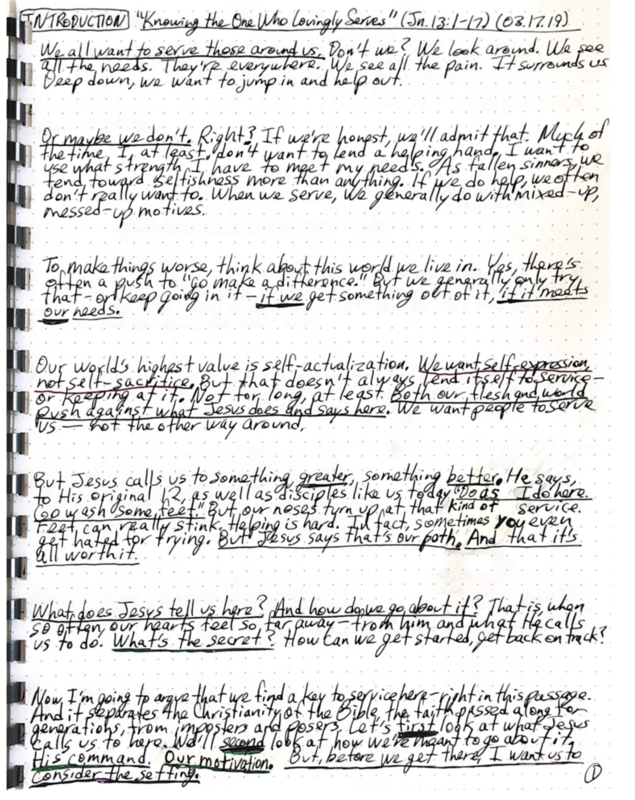 For the first time in a long time, I actually wrote my sermon out long-hand. Yes, it it did take significantly longer, but, when it came time to preach, my message was far more internalized. You can download the notes by clicking on the image below.